— Added option to show Playlists or Genres on Play Now page, default disabled (tap on top 'PLAY NOW' title to activate this). — Design update to 'Play Now', 'Recently Added' and 'Search' pages and some other pages. — Added 'REVERB' sound effect! Can simulate playing in a room or hall. — Added 'Next Folder' and 'New Random Album' as 'Auto Add Tracks' mode. — Added multi Share! Found in all Multi-select and in Folder long press dialog. — Added Multi-tag edit, available in all Multi-select pages. Only works for 'BlackPlayer Custom Library'. — The overflow button while Multi-selecting in the main 'TRACKS' list now works again. 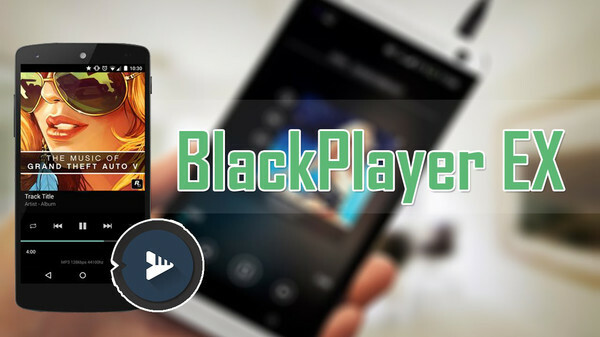 — Changing Song Genre was not working for BlackPlayer Custom library, now works. — Viewing Most played tracks from 'PLAY NOW' page now shows the Play count. — Opus, m4b files are now included in the Scanning, but the Metadata is not read. — Text of the bottom navigation are now hidden, can be re-enabled in Interface Settings. — Added option to change Shuffle mode from Google Auto.